The Best Panasonic Ever… the ’88 DX-5000? Lately I have been receiving a fair number of questions via this website from potential buyers of pre-owned Panasonic bicycles. 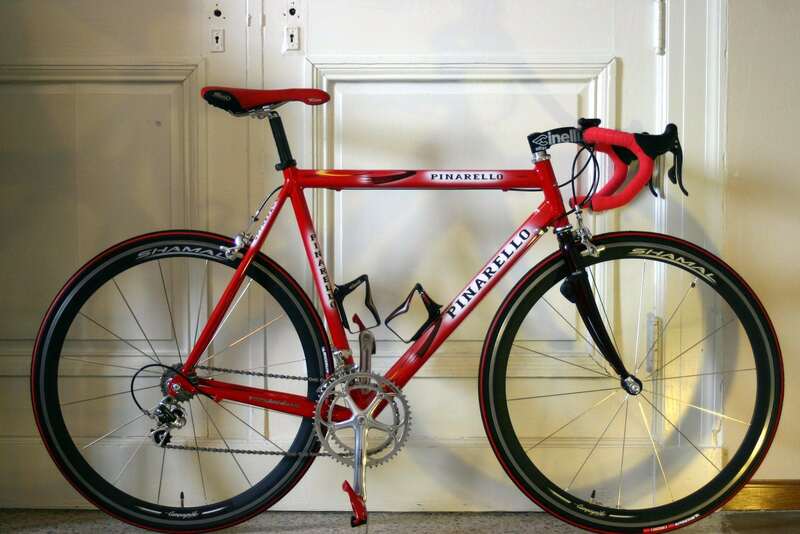 One of the most common questions is which model should I be looking for if I want a higher end Panasonic road bike. Another question I get fairly often is which bike in my own collection do I like the best? Well, believe it or not, the answer to both of those questions is likely the 1988 Panasonic DX-5000. I say that because I have owned one since new and rode it often from 1988 until 2001 when a Pinarello Paris took over as my primary ride. I know some of you are now scratching your heads or have spit out your beer all over your monitors to learn that this rabid Panasonic enthusiast rides a freakin’ Pinarello. Yes, yes I do… and I enjoy every minute of it. 😉 With that little confession out-of-the-way, I should say that I would certainly have been open to building a new Panasonic at the time had sales of Panasonic bicycles not ceased here in the U.S. in 1989. The thing is that I don’t always want to ride the Pinarello. It is very much like a Ferrari… gorgeous to look at but admittedly it is also a bit like riding a tuning fork at times since you literally feel every bit of the road. Sometimes I want to mix things up a bit. I want to ride something both responsive yet something that will take the edge off of the harsh roads just a bit. Enter the 1988 DX-5000. For those of you who have ever owned and ridden a bike for years and years, you will know what I mean when I say the bike feels like home. It does. After all, I grew up on this bike. I was in the 7th grade when I bought it and rode it all the way through high school and college. 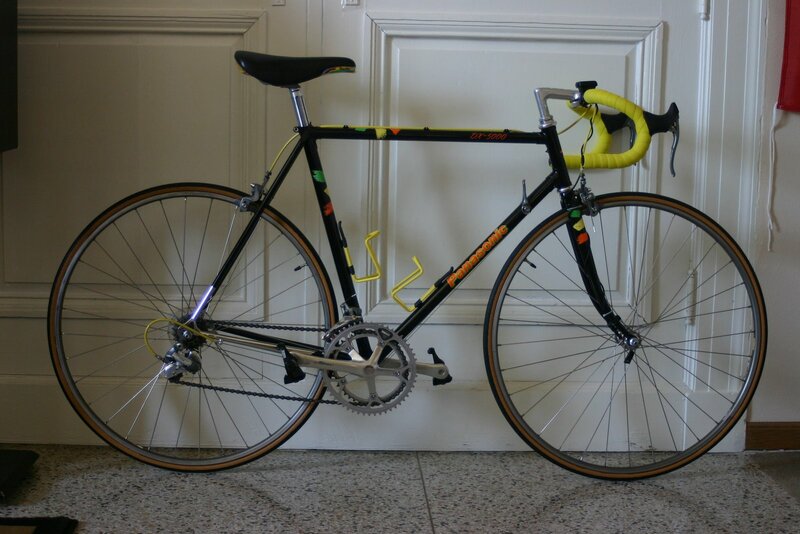 Sure, it had that freaky 80’s neon paint scheme that some either love or hate but it also had lively Tange Prestige tubing and the wonderfully reliable Shimano 600 Ultegra component group. 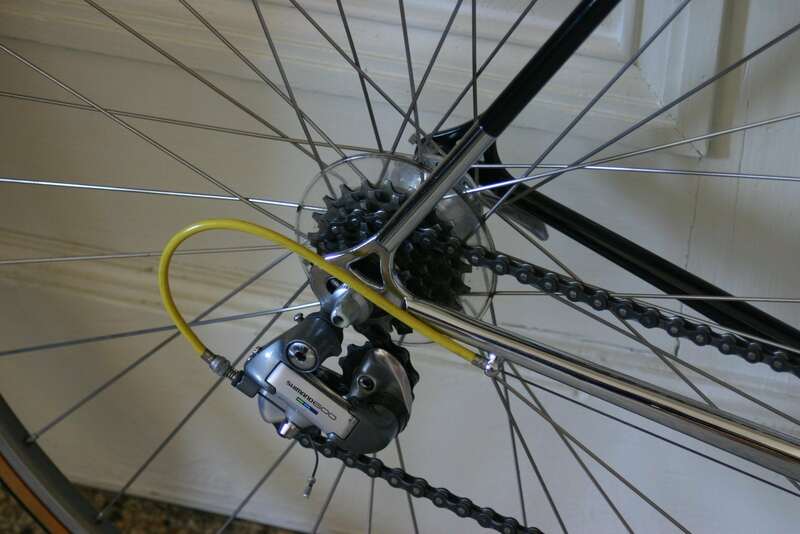 Unlike my prior 1985 Panasonic Team, the Shimano 600 equipped DX-5000 always shifted and braked flawlessly. In fact, not once did I ever had a problem with the 600 Ultegra components. To this day I regard it as one of the best looking and best working vintage part groups ever. It even rivals the Campagnolo Record 10 group on my Pinarello despite the age difference between the two. The DX-5000 is just one of those bikes with a certain something… it doesn’t feel like my other Panasonics. Maybe it is the Prestige tubing that gives it a slightly more lively character or maybe it is all just in my head but either way I feel it. There are certainly memories of rides with friends around the trails in the neighborhood where I grew up. Heck, I close my eyes and I can almost feel the hot and humid Iowa summer air whisking over my face and through my hair as Kenny Loggins blared through the speakers on my Walkman. Life was good and the DX-5000 took me through so many years of it. It still feels like home to me.